Greetings everyone! I haven’t posted here in far too long, but I am finally brushing off the winter blues and coming back to life! Watch for new articles and updates to be regularly uploaded from here on out. 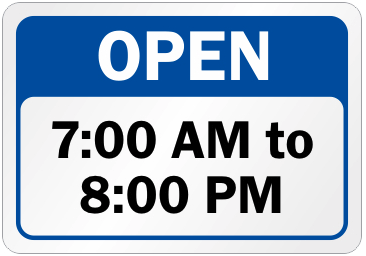 To start things off, I have just made a minor revision to my business hours. Williams Mobility services are now available from 7am to 8pm every day, with occasional before/after hours exceptions for those in need!